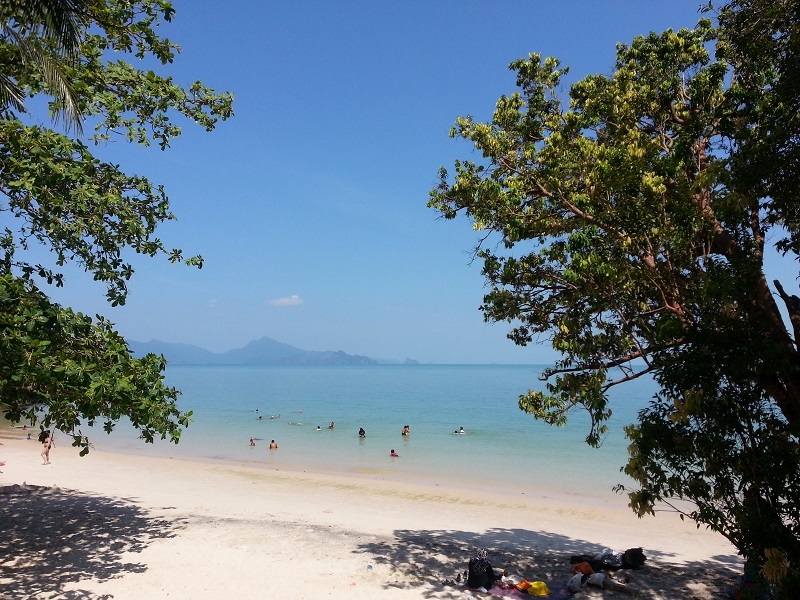 Langkawi, despite a less popular beach holiday destination compared to Phuket, Krabi, Koh Samui and Bali, it is a pure escape out of city’s hubbub given that Langkawi is free of traffic jams, congestion, but only rows and rows of greens and nature beauty. 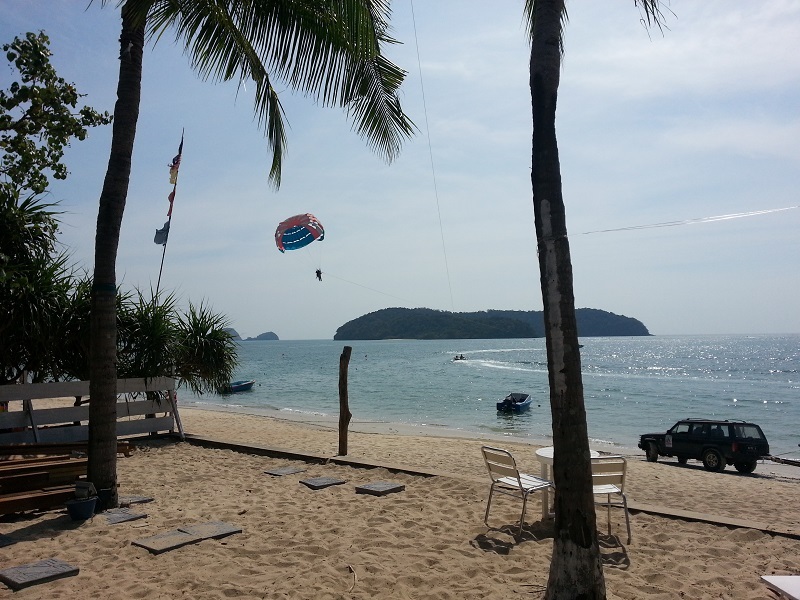 So if you decide on a beach getaway with lots of nightlife, go to Phuket or even Samui. 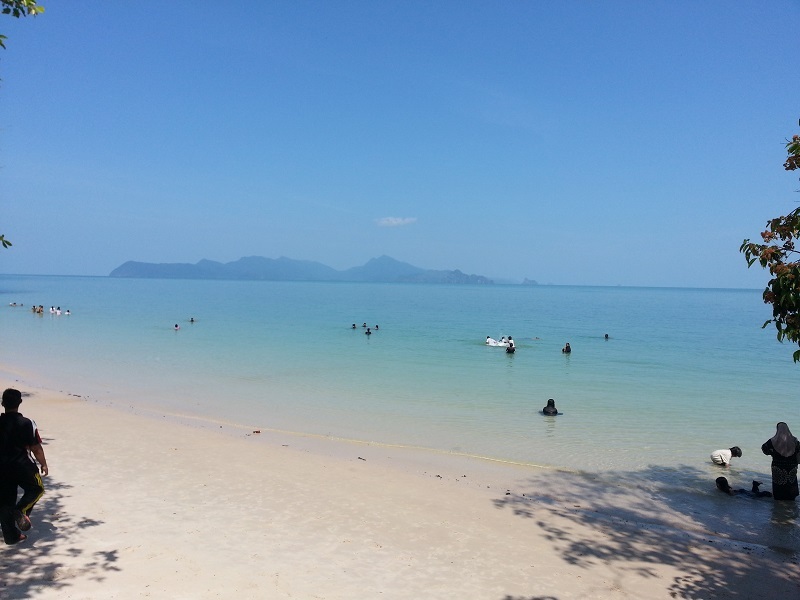 Langkawi is far more on clean and pure relaxation. Its beaches are clean with soft white sand, but true bliss really shines are the cherished absence of continual beach hawkers who’ll bother and trouble your moment of zen with merchandise, including bracelets, fake tattoos, beach hats, beer, hair-braiding services and massages. 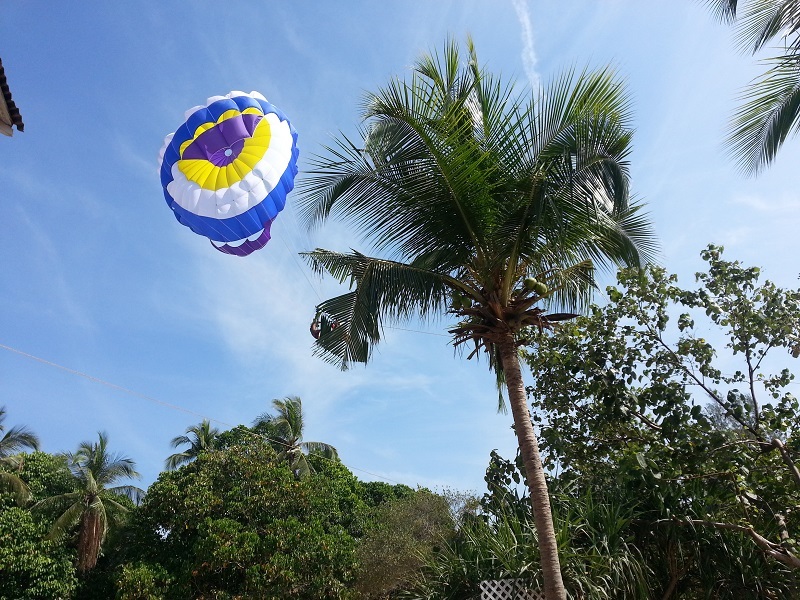 You will get to enjoy tranquility while watching the ever-changing sunsets over the Andaman sea. 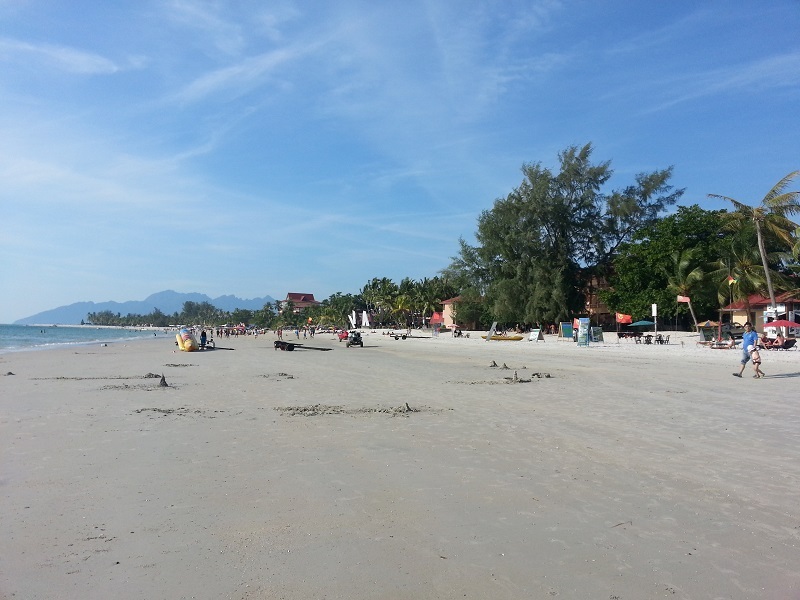 Pantai Tengah and the adjoining Pantai Cenang are the two key beaches on Langkawi. 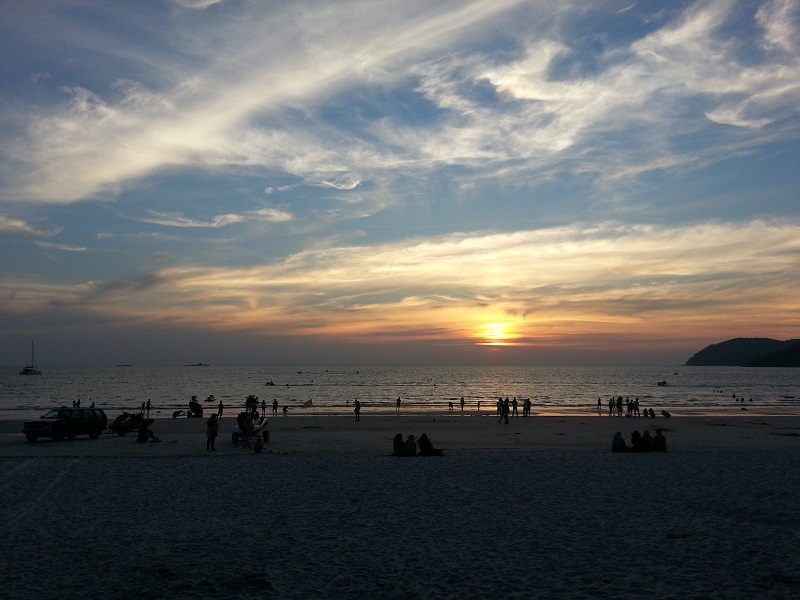 They are relatively touristy, even though the beach at Pantai Tengah is more tranquil. 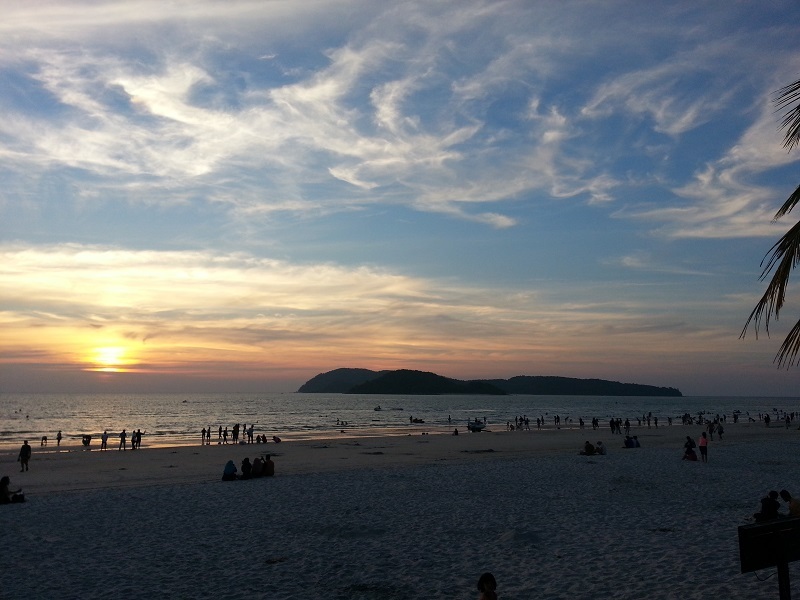 Pantai Tengah fits everything we desire well, with plenty of shops and restaurants near the hotel; while Pantai Cenang has an array of bars and eateries around the beach, a pleasant way to spend an lovely evening. 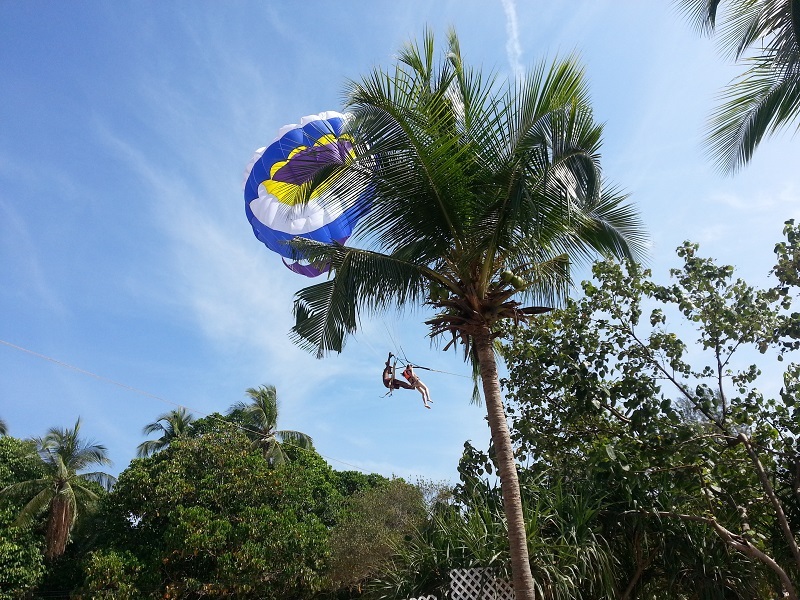 You will enjoy sunset drinks, watching water sport and take few sunset photos! 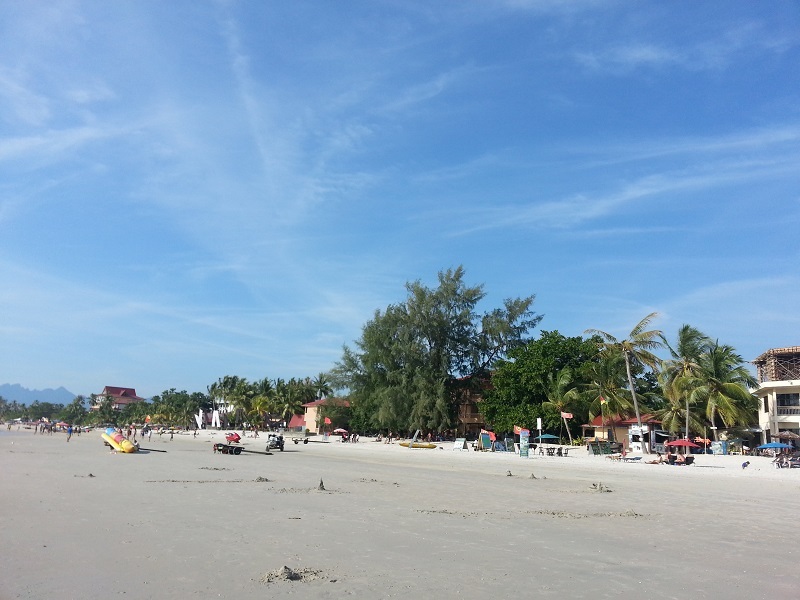 Pantai Cenang (Cenang Beach) is famous for its sunset, long white-sandy beach, clear blue waters, restaurants and bars, high-end resorts, inexpensive hotels as well as the many fun water activities that make it the liveliest of all Langkawi beaches. As the island’s most developed beach, there are nearby islands, such as Purau Rebak Kecil and Purau Rebak Besar, where tourists can go off island-hopping. 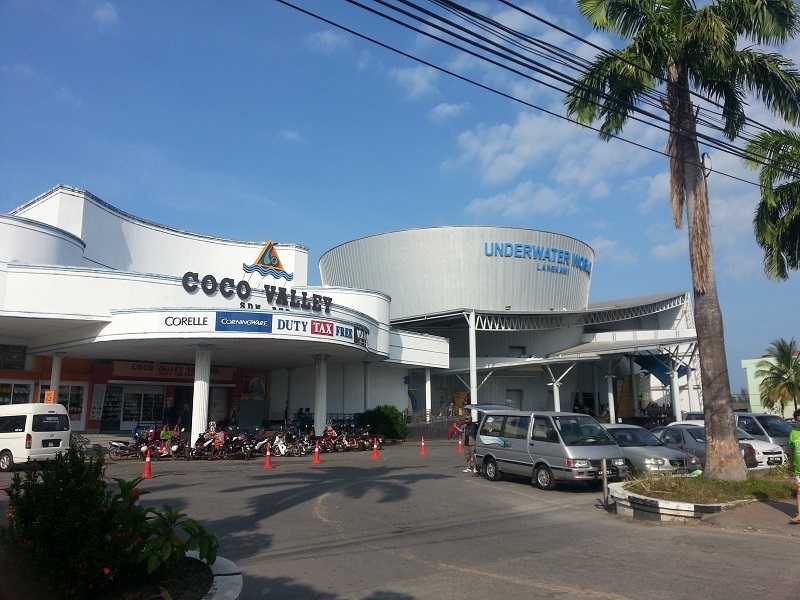 Besides, there are two popular tourist attractions nearby, the Laman Padi Rice Garden and Underwater World. 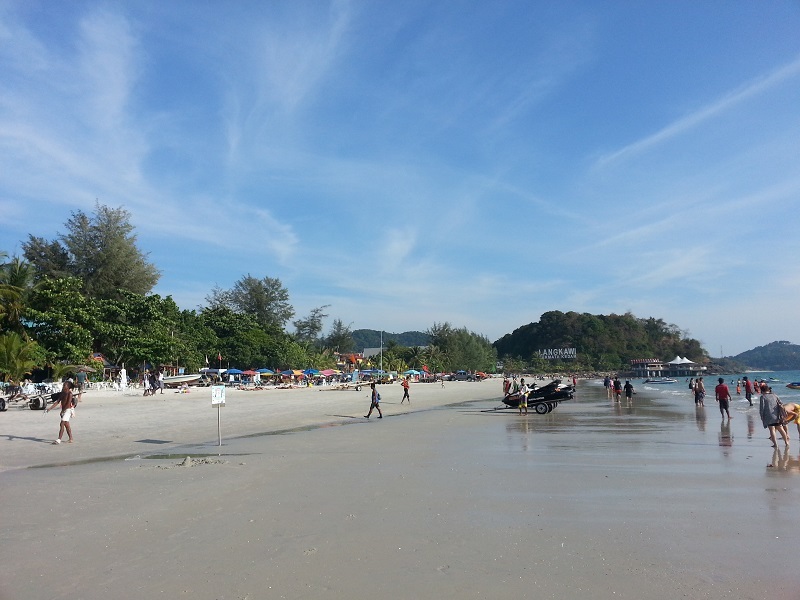 Pantai Cenang is 25 km west of Kuah, the island’s capital and center of commerce. Pantai Tengah (Tengah Beach) is popular for its clear blue water, a great choice for sisightseeing and photo-shooting, but not really for swimming due to crowded jellyfish. 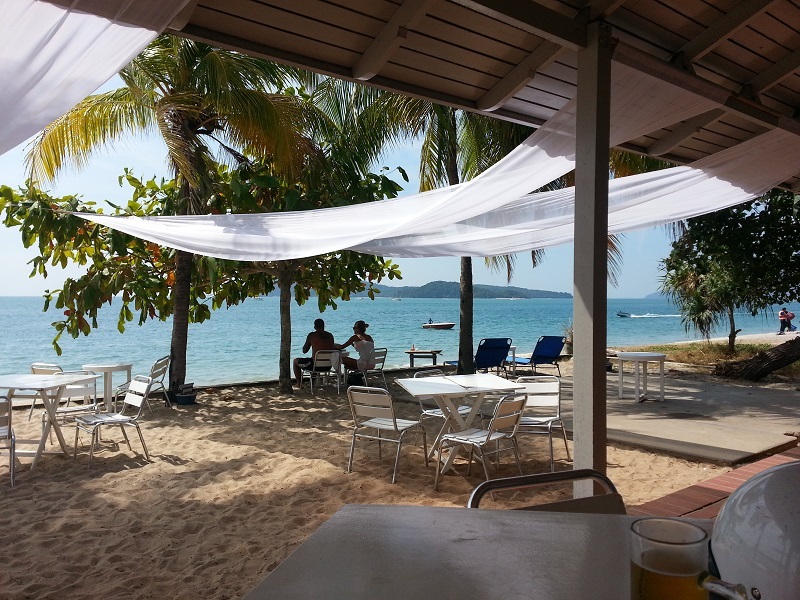 The beachfront is packed with cheap and high-end resorts, hotels and restaurants, the most famous of which is the open-air Lighthouse Restaurant and Beach Bar. 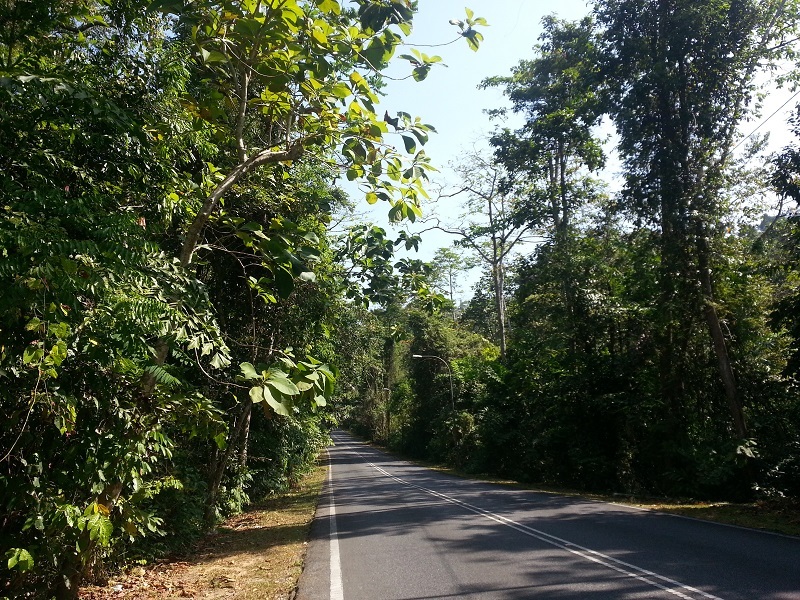 Tengah is just 500 meters from Cenang Beach.